Summer days are meant to be spent warming by the sun, not by the stove. These salad recipes minimize stove time and capitalize on summer's best bounty: fresh fruits and veggies. We've gathered healthy salad recipes that are packed with simple ingredients, major vitamins and perfect flavor combinations. Hello summer, it's lovely to see you. We have your healthy summer menus covered with these eight perfect salad recipes and one amazing homemade salad dressing. Lunch — and dinner — have never looked so good. Julia is the cook and photographer behind the creatively delicious site Julia's Album, where she shares her daily eats — the perfect combination of high quality “peasant” food: fresh, whole ingredients cooked in a simple “peasant” way and various ethnic cuisines. 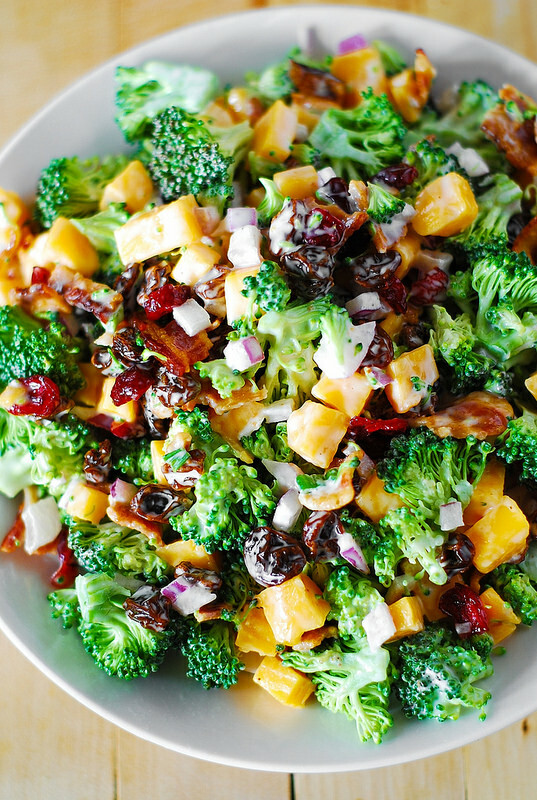 Julia's perfect salad recipe is her Broccoli salad with bacon, raisins and cheddar cheese, a perfect combination of everything you want from a salad: sweet and savory flavors, crunchy veggies, soft cheese, saltiness and smokiness from bacon and freshness and fiber from the vegetables. Ali Ebright is the chef and lens behind gimme some OVEN, a food blog celebrating all things tasty. Ali describes herself as a food blogger and life lover and these themes shine through her blog and her recipes. 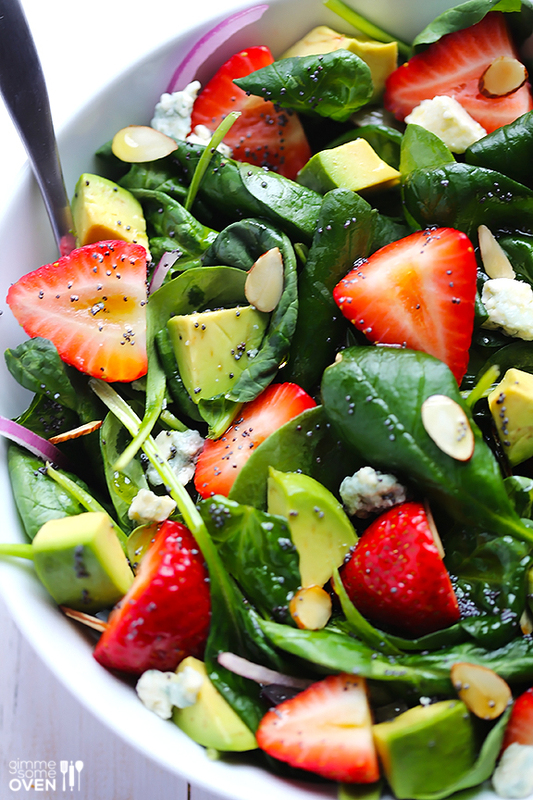 Ali's perfect salad recipe is her Avocado Strawberry Spinach Salad with Poppyseed Dressing. This classic strawberry spinach salad is always a favorite, but when you throw in some creamy avocados and gorgonzola, you'll fall in love with it all over again. It's so simple, so fresh and so good. Kelly Senyei is the founder of Just A Taste food blog, author and chef. Kelly shares inspiration for all things food and entertaining with endless recipes, step-by-step photo tutorials and weekly videos featuring tips and tricks to help you save time and up your game in the kitchen. 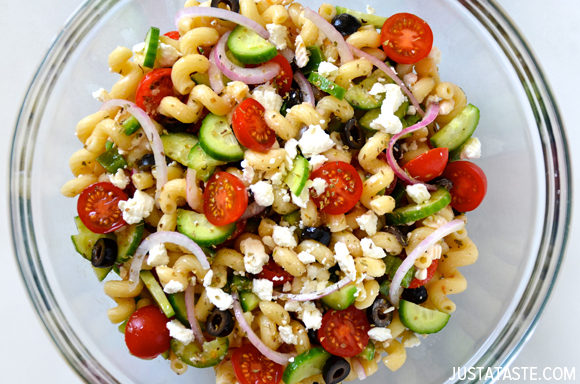 Kelly's perfect salad recipe is her Greek Pasta Salad With Red Wine Vinaigrette, what she calls macaroni and cheese's crisp, cool, alluring culinary cousin. Kelly's salad recipe is filled with delicious noodles, fresh veggies and the real star of the show: a homemade dressing made with a secret ingredient. Kristin Porter loves to cook and loves to eat even more. She shares her irresistible recipes and photos on her blog Iowa Girl Eats. She has a knack for easy recipes, healthy recipes, family-friendly recipes and in-season recipes. 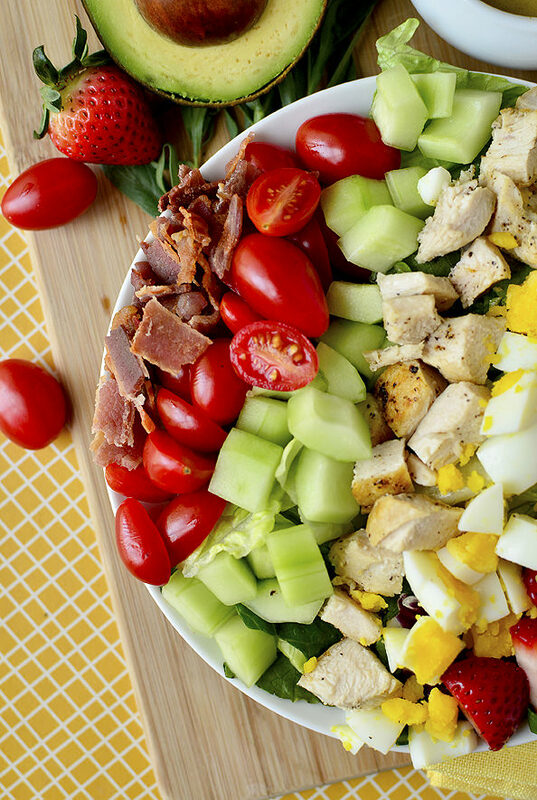 Kristin's perfect salad recipe is her California Cobb Salad with Tarragon Vinaigrette, a traditional cobb salad with a West Coast spin with the addition of crisp cucumber, sweet strawberries and creamy avocado. Deborah Harroun shares easy, fast and family-friendly recipes on her beautiful blog, Taste and Tell. She has a passion for recipe development and finding the best local and global eats. 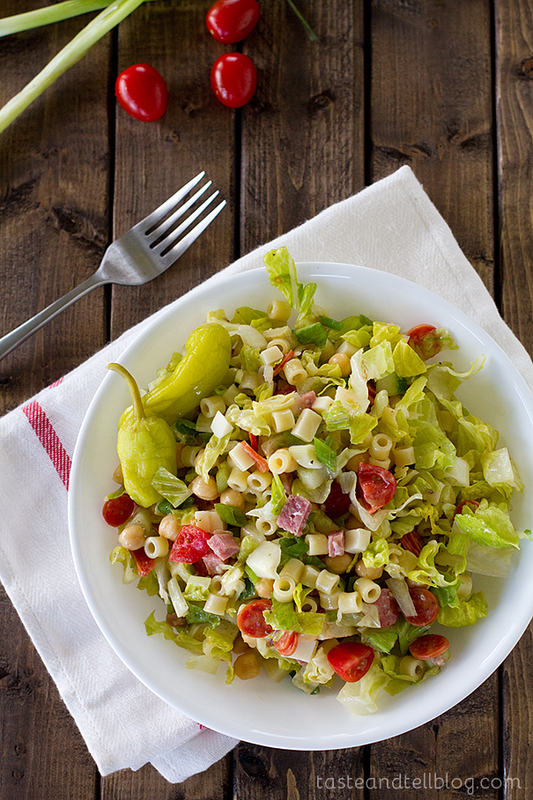 Deborah's perfect salad recipe is her Italian Chopped Salad, a flavorful and hearty meal that has all of the great flavors of Italy in one huge salad — chickpeas, artichoke hearts, pepperoni, salami — the list goes on and (deliciously) on. Michele is known as the Occasional Cooker and is the owner and creator of Flavor Mosaic. She is a wife, sister, dog mom, food lover, chocolate lover and application administrator by day and a food blogger and recipe developer by night. 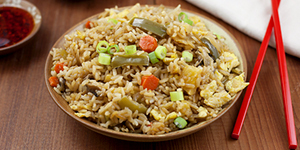 On her blog, Michele shares quick, easy, budget-friendly dishes with lots of flavor. 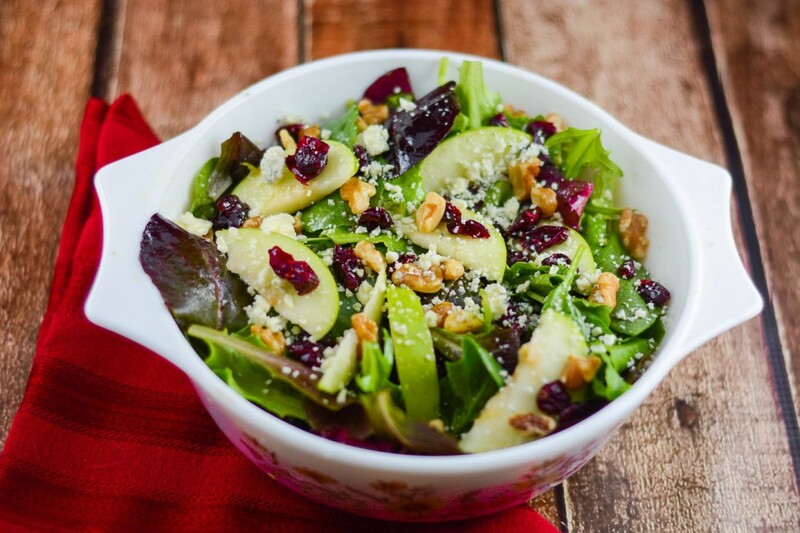 Her perfect salad recipe is her Apple Walnut Cranberry Salad, a salad that combines the sweetness of green apples and cranberries with the saltiness of gorgonzola and the crunch of walnuts. This impressive salad is topped off with a homemade Apple Cider Vinaigrette. Lori Lange is the recipe developer, food writer and mom behind Recipe Girl. Creating and delivering recipes that inspire novices and veterans alike and making cooking in the kitchen fun is what Lori is all about. 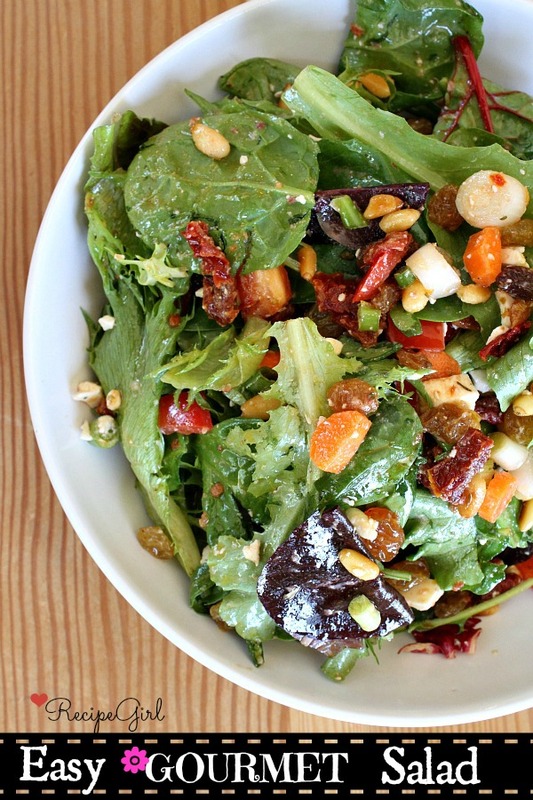 Lori's perfect salad recipe is her Easy Gourmet Salad, a simple recipe she has been making for years that ups a simple salad to gourmet status with special add-ins like sun-dried tomatoes, feta cheese, golden raisins, toasted pine nuts and a simple, homemade salad dressing. Maria and Josh have a love of cooking, baking and entertaining. They enjoy creating recipes that are simple, fresh and family friendly and share all of the above on their stunning food blog, Two Peas & Their Pod. 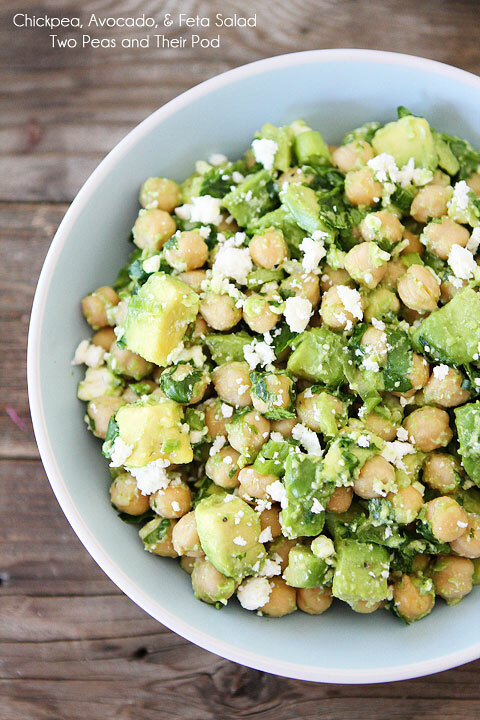 Maria and Josh's perfect salad recipe is their Chickpea, Avocado, & Feta Salad, a healthy and impressive salad that comes together in only five minutes. The simple ingredients combine beautifully into your new favorite meal. Maria Provenzano writes a lifestyle blog where her goal is to make domesticality fashionable again. Maria says, "I started this blog as a creative outlet for all the things I find interesting and continue to learn about. 'Making Domesticality Fashionable Again' means to create a beautiful life with your own two hands because your life belongs to you and no one else. It means to do the things you love and get back to basics with things that are real." Maria is a self-proclaimed, self-taught and mom-taught cook and baker. She loves homemade things, organic and sustainable ingredients and real food. Maria says, "My parents always taught me to make the small things in life memorable and special. At my core, I believe that everything is better when it's homemade, family is the most important thing and you have the right to take amazing care of yourself." You can find Maria on her blog, Facebook, Instagram, Pinterest, Twitter and, for today, right here sharing her delicious homemade salad dressing, a scrumptiously simple and perfect addition to any salad. Combine all of the ingredients except the olive oil in a bowl. You can also do this in a Mason jar. If you're using a bowl, whisk everything together and slowly add the oil while whisking. 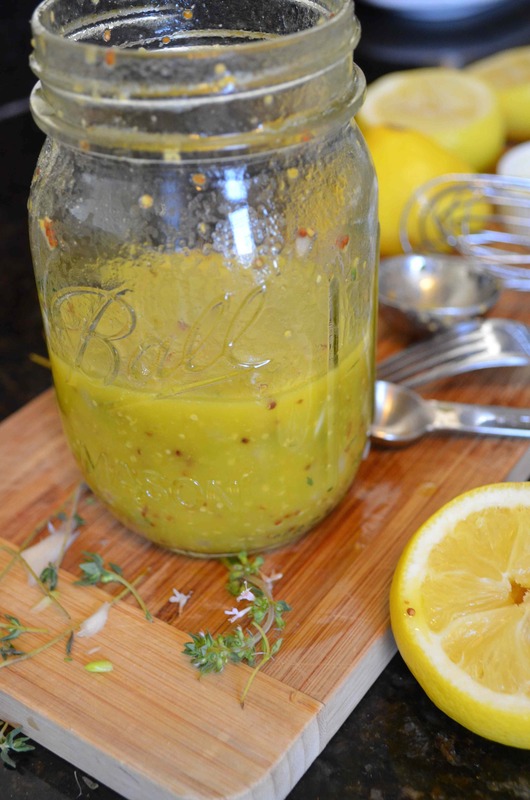 If you're using a Mason jar, you can add the oil, place the lid on tightly, and shake vigorously.